Upgrade your planer, jointer, or moulder with a HelixHead, high performance helical cutterhead today. HelixHeads offer unique advantages over traditional cutterheads including increased knife life, smoother finish, decreased noise, and more. Sell your machine on consignment with Hermance and take advantage of skilled sales team to help quickly sell your machine at the highest value. For many years Hermance has provided top-quality machines and service to state and federal prisons, schools, the military, and other government entities at all levels. Please give us a call at 570-326-9156 for references regarding previous government work. Your Local Source For Woodworking Machinery and Products! Stop by our retail store located at our Williamsport, PA location to see a large selection of Freud, Festool, Kreg, Jet, Powermatic, SawStop other woodworking tools and supplies. For more than a century, Hermance Machine Company has been providing top-quality industrial machinery and accessories to companies of all sizes. 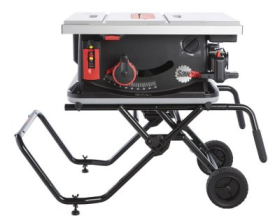 Whether your business needs a sander, table saw, composites machinery or anything else to increase operating efficiency and productivity, you’ll find it here. In order to get the job done right, your business needs top-shelf woodworking and industrial machinery. But it’s important to remember that buying new equipment isn’t always your only option. Hermance carries a wide selection of used industrial machinery, so you won’t have to break the bank in order to take your business to the next level. If you’re trying to get rid of some of the used equipment you have on hand, we’ll on a consignment basis. Hermance is proud to offer a huge selection of machinery from leading manufacturers. Our inventory is housed in our expansive 60,000-square-foot facility located in central Pennsylvania. Check out our extensive Sawstop table saw line from the world’s #1 manufacturer of safe 10-inch table saws. We also offer the Nederman NFK Dust Collection Systems, as well as the Unique 250GT2 Door Machine. No matter which machinery you choose, you’ll reap the benefits of increased productivity and reduced operating costs, giving a boost to your company’s bottom line. View our wide line of Clamps , CNC Routers , Dovetailers , Edgebanders , Saws , Sanders and more. Our online ordering process makes the process of purchasing industrial equipment easy and convenient. Our state-of-the-art virtual showroom gives you the opportunity to see our products in action before you buy. If you have questions during the process, you can easily reach one our knowledgeable sales representatives by calling 866-326-8131. Hermance is your one-stop source for all your machinery, equipment and industrial woodworking needs.